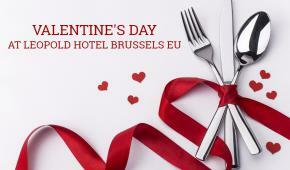 The Leopold Hotel Brussels EU is a family run, independent 4 star hotel, with quality and service at its heart. Our aim is to make you feel right at home in the center of Brussels’ EU district, just a few steps from the EU Parliament and EU Commission. Our staff is looking forward to welcoming you to one of our 107 rooms, our Leopold Bar stocked with Belgian beers and our Brasserie/restaurant for a delicious taste of our local cuisine! 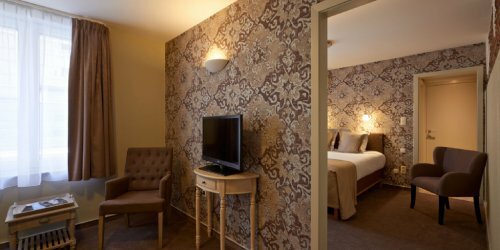 With our air-conditioned, modern classic rooms, quiet library, cosy bar, valet parking (30€ per day), Orangery indoor terrace garden and wifi access (FREE), this completely non smoking hotel is the ideal place to book for your trip to Brussels. At the Leopold Hotel Brussels EU we do our best for the environment. We look after electricity, water, recycling, product origins and a lot more. Our corridors are equipped with motion detector lights, we also check water comsuption and use condensation boilers for heating. 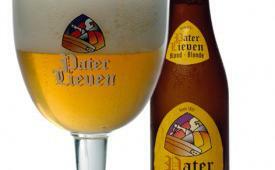 We like to keep our cuisine as Belgian as we can that's why we offer many local Belgian products. We respect the belief of vegetarians and vegans and propose appropriate meals. If you support this kind of activity we are the place to go for a stay in Brussels. 107 rooms, the Leopold Bar stocked with Belgian beers and the Brasserie for a delicious local cuisine, 8 meeting rooms with banqueting facilities. What’s better than flowers for Valentines? 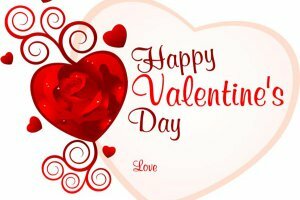 The Leopold Hotel Brussels EU offers you some tasty packages for spending a romantic time in the heart of Brussels on the 8,9 and 10 February and on the 15, 16 and 17 February. 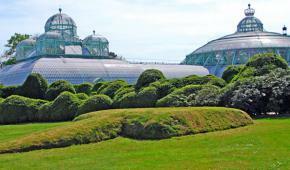 The Royal Greenhouses of Laeken open to the public between 20 April 2019 to 10 May 2019. Discover the wonderful architecture of the serres but also the history of the Royal Domain, from the Schoonenberg till today, and his inhabitants, will be explained, like many others unknown stories. If you go by private car you may not find any free space in the car park so we recommend going with public transport. To make your visit easier, the Hotel Leopold will include in the package price the bus tickets. Also if you want to enjoy the Brussels surroundings while heading to Royal Greenhouses Laeken, we recommend using an electric scooter. Would you like to know more about one of the most emblematic places in Brussels? Book your FREE walking tour of the EU area with a guide in EN (FR sur demande). It will take place on every Sunday from 10:00 a.m. - 12:00 a.m.
You will enjoy a free delicious coffee break!! 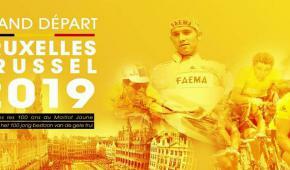 2019 sees the Tour de France start in Belgium for the 5th time and in Brussels for the 2nd time. Bienvenue ! 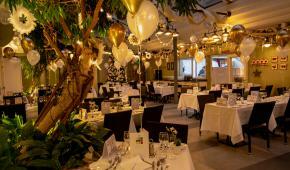 Enjoy our tasting menu and end the year paying homage to your palate in our family hotel Hotel Leopold Brussels EU. Surrounded by a Christmas atmosphere and the best company, you will enjoy the best Belgian gastronomy prepared by our chef. Every year in September Brussels celebrates our love of beer with a weekend of beer tastings in the Grand Place BUT at the Leopold Hotel Brussels EU every weekend is a beer weekend !! We have some great Family Rooms at the Leopold Hotel Brussels EU that accommodate 2 adults and 2 children in our family hotel. For 132.50 EU pp you can stay as 2 adults and your 2 children (under 12 years) STAY FREE in your room. 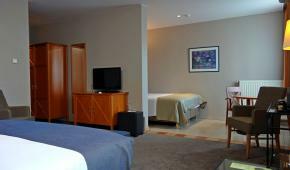 This includes a full breakfast buffet on your 2 mornings with us and your city tax and the room for 2 nights. We have limited availability at this great price ! 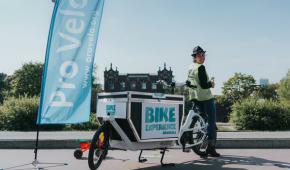 If you need a bike to enjoy your day in Brussels the shop Pro Vélo (15 Rue de Londres, 3min by walking from the Leopold Hotel) is ready to welcome you everyday from 10am to 1pm and from 1:30m to 6pm. They will give you some good advices in order to make your stay in Brussels much better. Do not hesitate to go there you won't be disappointed ! Looking for something? Our staff will be happy to help you or check out some regularly asked questions below. Why not ask our chatbot ? Can I hire an electric scooter in Brussels ? Are there any other Leopold Hotels ? Where can I park when I stay at the Leopold Hotel Brussels EU ? You will need a personal quote so that we can give you what you want !